If I do not strive to be kind, I will not notice kindness in others. If I do not strive to be generous, I will not notice generosity. According to Serafim Seppälä*, St. Isaac the Syrian understands the perception of the angelic orders to be limited by their own natures. That is, each rank of the heavenly orders—angels, archangels, thrones, dominions, powers, etc.— is able to perceive a higher rank, but only in so far as its own nature, it’s own ability to perceive God’s glory, allows it. I admit that this is a rather esoteric observation, one that seems a matter of mere speculation to most of us. Who among us has such a relationship with God’s angels as to speak of their inner life, their inner experience. For most of us, such things are matters of speculation. Although for St. Isaac this is not a matter of speculation, but rather a matter of his own direct experience. He is telling us in words and concepts that we can understand, as a kind of metaphor, what he knows from direct knowledge and experience of heavenly things, experience that is ineffable, that is actually impossible to put into words. At least this is his claim, a claim that the Orthodox tradition has believed. However, the inner life of angels is not the purpose of this post. My purpose today is to speak of the inner life of human beings. Seppälä after summarizing this particular aspect of St. Isaac’s angelology, goes on to state that according to St. Isaac, “The same principle also applies to humans and demons: humans are able to sense angels’ glory only insofar as admitted by one’s own illumination, and the demons are able to sense the glory of men only insofar as their own darkness admits.” I should clarify here that by the glory of an angel or of a human being, St. Isaac is not saying that angels or human beings have some glory of their own apart from God’s glory. No. 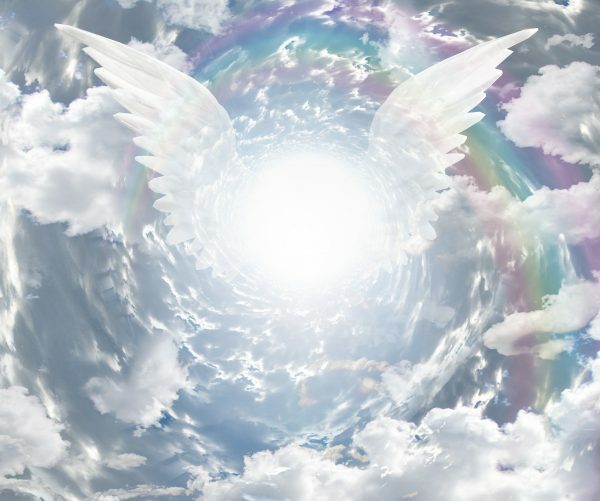 Rather, each rank of angel and each human being according to his or her illumination both emits and perceives a certain “amount” or “level” of the glory of God. I put those two words in quotation marks to remind us that we are talking about something ineffable—the Glory of God—and any words we use are at best metaphors pointing to that ineffable reality; or at worst, any words are completely misleading. St. Isaac himself reminds us that the language of heaven is silence. And yet, as St. Paul says, love compels us to speak. There is this principle at work in our human relationships that limits our ability to see the glory of God in a human being, or the glory of a particular human being, which is the same thing. We are limited by our own illumination. Have you ever noticed that a person who, for example, is overcome with a lustful passion seems to think everyone around him is suffering the same affliction. I have had acquaintances who seemed to spin almost every sentence I said into a sexual innuendo. They heard a sexual reference even though none at all was intended. Or I have known apparently miserly people who seemed always to interpret the behaviour of others in terms of money or greed. For them, everyone seemed to be cheating them, everyone seemed to be trying to make a buck at their expense. I think most of us have seen this principle at work in some of the people around us, at least in some extreme instances. However, this principle also works the other direction. That is, those whose minds are set on the good and the holy, tend to see goodness and even the glory of God in just about everyone they meet. A holy man or woman feels compassion and love for everyone, even those who to most of us seem to have nothing about them worthy of love or compassion. They can see the glory of God in a very broken human being because they themselves have been illumined and shine with God’s glory. The glory of God is a difficult thing for us to speak about. The glory of God is the light of God, the energy of God, the very life of God as it comes to us enabling us both to perceive spiritual realities by direct experience and to radiate that same glory to the degree of our illumination. According to St. Isaac, sometimes God overwhelms human beings with His glory, so that they perceive and radiate beyond their measure. But this is rare. Most of us for most of our life slowly grow in godliness. This growth is not a steady climb—at least not in my experience—but is a waxing and waning resulting in growth through trials and tribulations. It’s rather like a fruit tree that experiences harsh winters, springtimes of growth and blossom, and harvest times of hard labour, only to be followed by a necessary and painful pruning and yet another harsh winter. And somehow through it all, the tree grows and becomes more fruitful. This is how the grace of God works in our lives to illumine us with the glory of God. That is, this is how the grace of God works in our lives, if we let it. There is always a cooperation with the grace of God. Sure, God can do anything. God sometimes overwhelms people, or even animals. There is that story in the Old Testament about the false prophet so blind to God’s glory that he couldn’t see the angel standing before him to kill him, but his donkey saw it and saved his life. Eventually, the prophet can only actually hear God through the mouth of a donkey. What a picture: a man posturing himself as a prophet of God, who actually sees God’s glory less clearly than a donkey does. Nonetheless, despite this prophet’s inability to actually perceive God, God does use him in a particular series of settings to speak the truth. Somehow this story makes me feel very uncomfortable. Although there are rare exceptions when the glory of God is manifest beyond people’s (or animals’) level of illumination, most of us, most of the time grow in illumination through cooperating with the grace of God by striving for purification of our minds and body in a process called a asceticism, which just means ‘training.’ We train ourselves in godliness, as St. Paul puts it. Our training does not, cannot, earn us the grace of God. No, not at all. Our training, our striving for holiness, is the means given to us to cooperate with what God’s grace is already doing in our lives to purify and illuminate us by and with His glory. It is like the sunrise. I cannot make the sun rise by making myself rise early in the morning. Nothing I do can make the sun rise. However, by rising early, I can be awake and attentive when the sun rises. Through asceticsm, we train our minds and bodies to attend to the grace of God. And this grace then illumines us both to perceive and to radiate glory. Most of us have not progressed in godliness to the point of the saints, like St. Isaac, who could perceive God’s glory in all creation through contemplation, or theoria. Most of us largely rely on what on our physical senses tell us, what we can see, or hear or touch. But these too train us. The fruit of the spirit is manifest in concrete actions that can be seen and heard and touched; and these actions, when we perceive them with our physical senses, trigger our inner perception, our noetic perception, or our perception through theoria. In this way, our physical perception of what is good and kind and gentle and joyful, and peaceful, etc. trains our perception through theoria. However, to return to the original point of this post, if we ourselves do not strive to manifest the fruit of the spirit, we will have a hard time perceiving them in others. If I do not strive to be kind, I will not notice kindness in others. If I do not strive to be generous, I will not notice generosity. If I do not strive to be joyful, I will not notice joy. Rather, actual joy in others will just be annoying to me, generosity will be waste, and kindness will be foolishness. My ability to see the glory of God in another will be limited by the light or darkness of my own heart. So next time I find myself judging someone harshly for their apparent lack of virtue, I need to remember that what I see in another is more a reflection of the state of my own soul than it is an accurate picture of someone else’s. *”Angelology of St. Isaac” in Metropolitan Hilarion Alfeyev, Ed. St. Isaac the Syrian and His Spiritual Legacy.